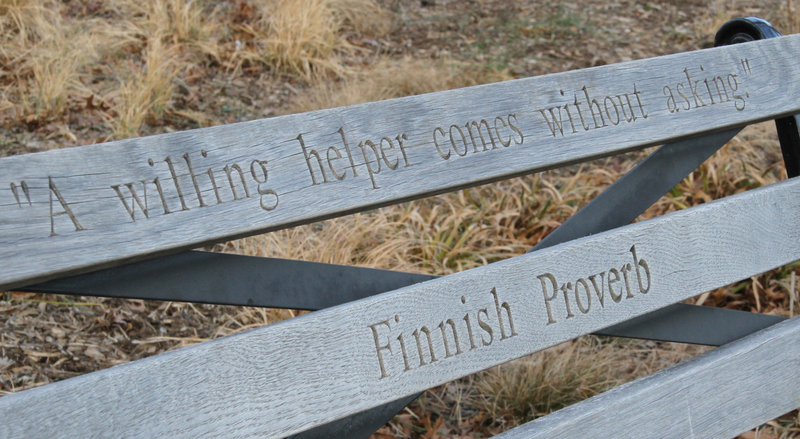 Bench adoption allows you to leave a lasting imprint at the Garden. 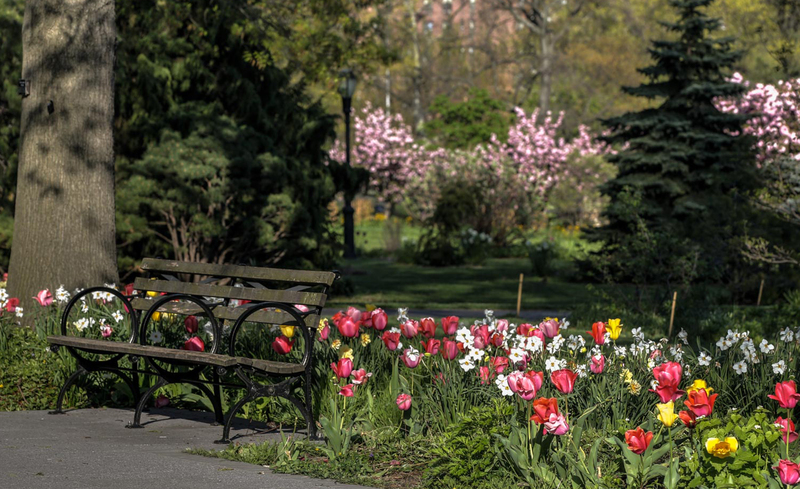 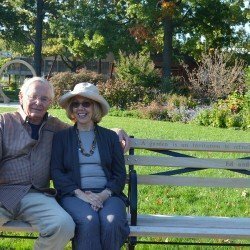 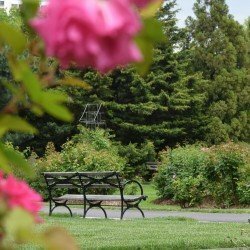 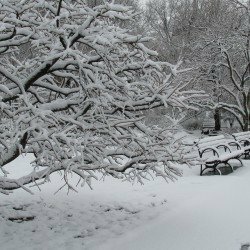 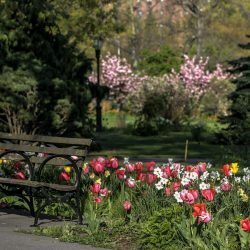 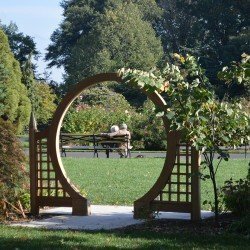 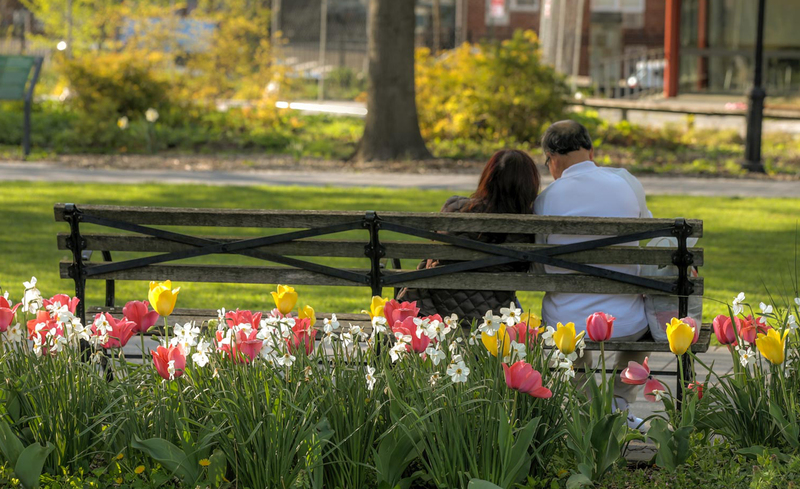 Whether in honor of a loved one, to commemorate a colleague’s retirement, or to promote your business, adopting a bench supports educational programming and the general care of this beautiful oasis. 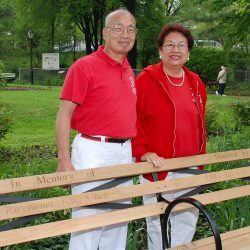 Your donation of $5,000 for a bench adoption is fully tax-deductible. 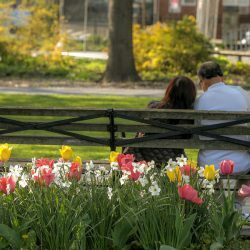 Multiple donors (e.g. 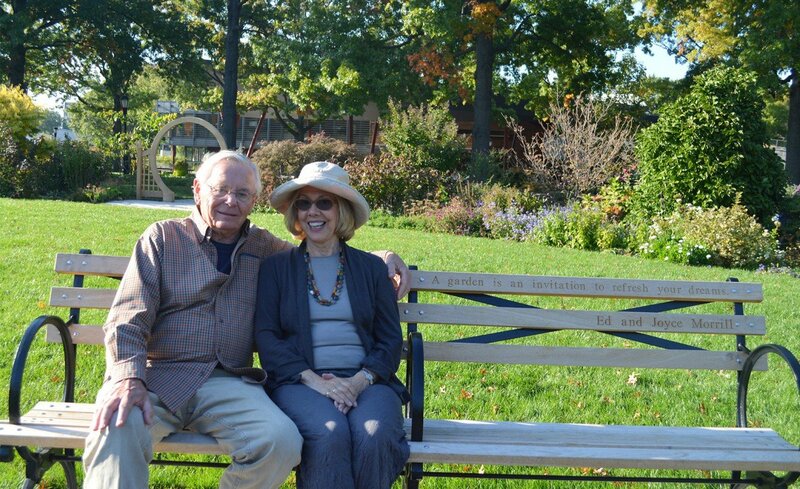 family, friends, co-workers) may contribute through honorary or memorial funds. 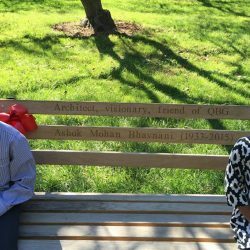 Your bench may be inscribed with the message of your choice. 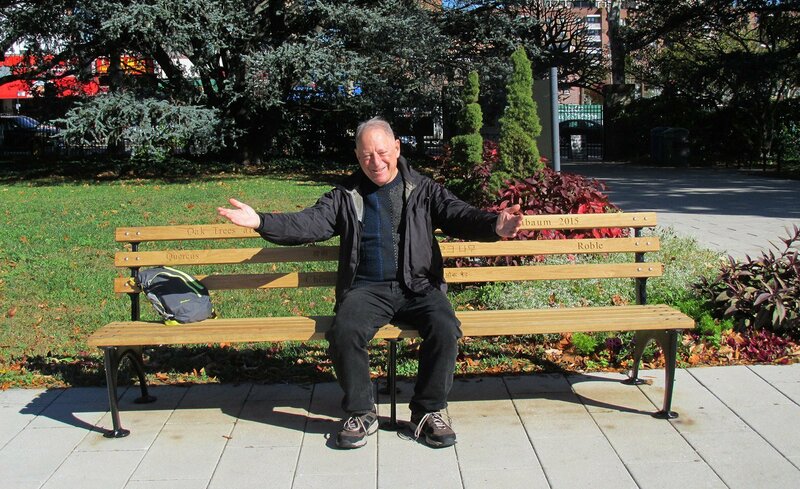 Each bench has three back slats. 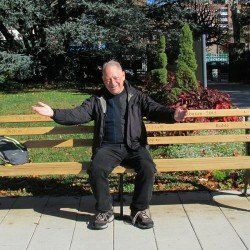 Total of 60 characters per slat (includes letters and spaces)– use one, two or three slats. 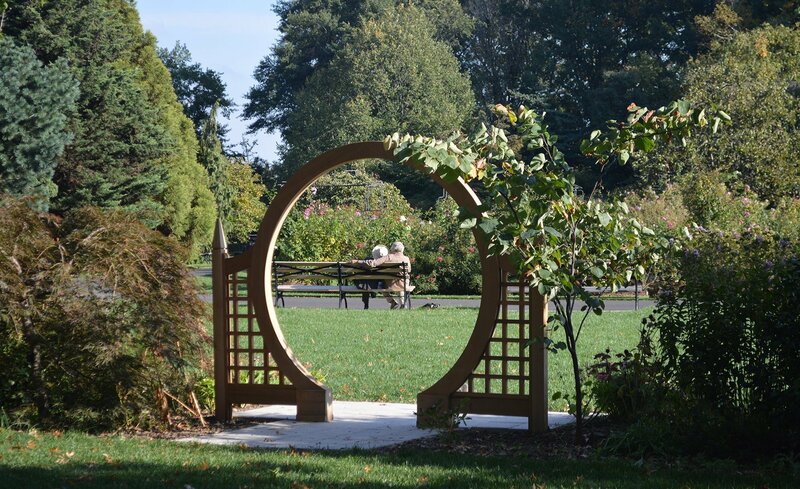 Once approved, it takes approximately eight weeks for the bench to be installed. 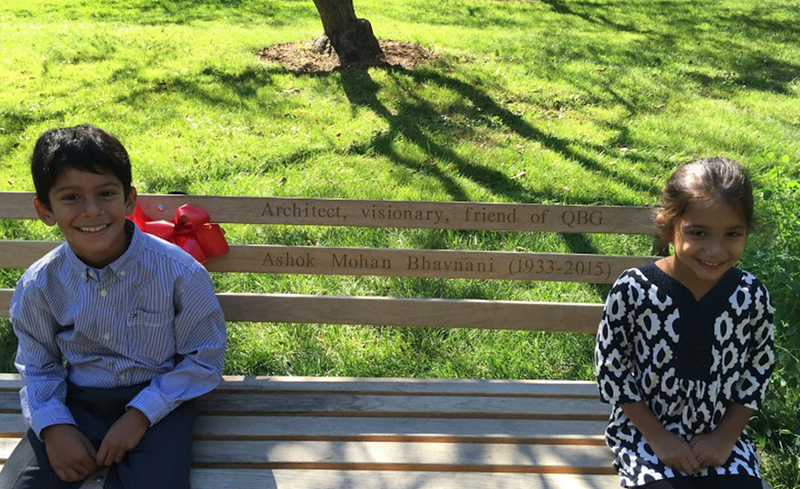 QBG is pleased to work with Kenneth Lynch & Sons, fabricator of the original 1939 World’s Fair Bench, to create replica benches using modern, sustainable materials. 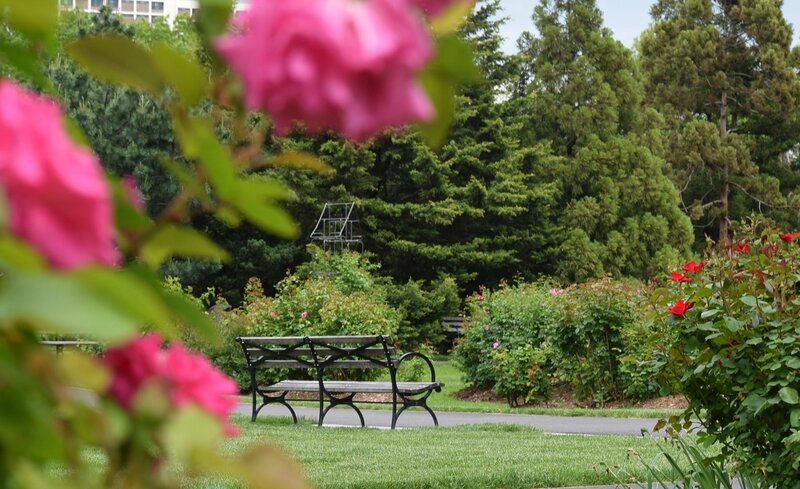 1964-style benches (left) are available for adoption throughout the Garden. 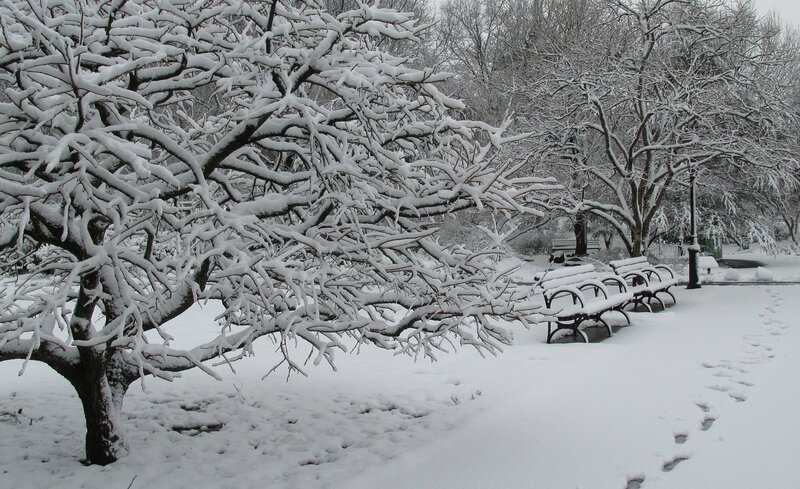 There are a very limited number of 1939-style benches (right) available at this time. 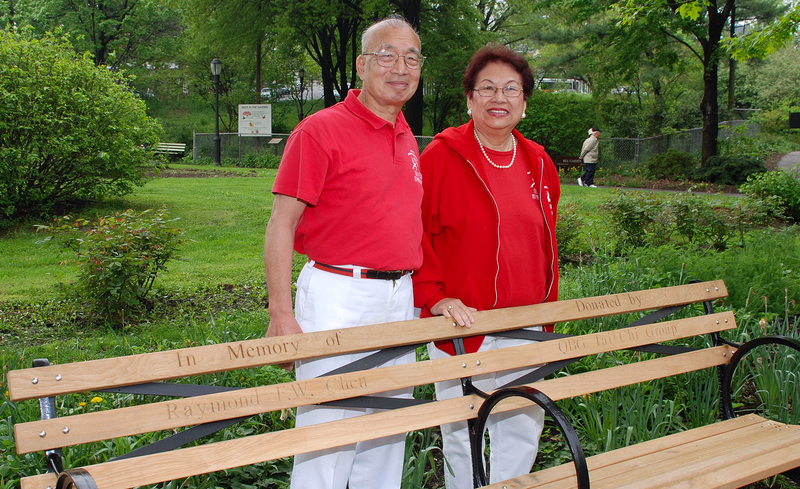 Cliff & Mary Chin with Tai Chi Leader Raymond Chen's memorial bench.